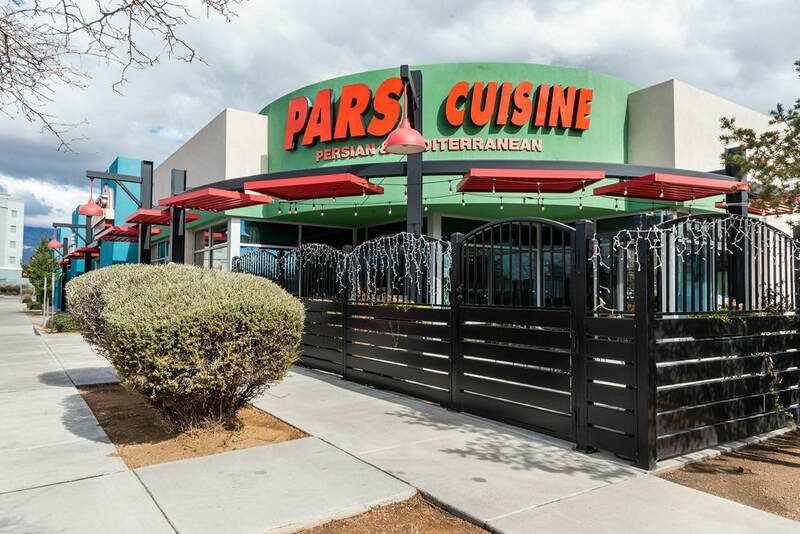 Pars Cuisine has been offering Mediterranean & Persian food in Albuquerque, New Mexico since 1984. The restaurant was awarded three & a half Stars by the Albuquerque Journal. 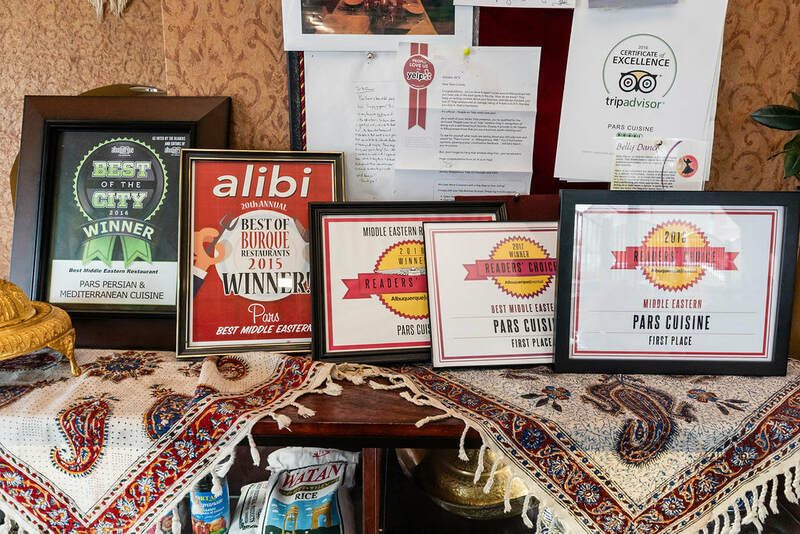 See what people on Yelp, iDine and TripAdvisor have to say. Pars Cuisine has been serving authentic Persian cuisine in a comfortable atmosphere with excellent service. Every dish we prepare is made fresh daily with quality ingredients. Pars Cuisine has expanded its luxurious offerings to include the Banquet Room, now available for private or corporate parties. From team meetings to anniversary celebrations, this beautiful backdrop complements every event. Along with our opulent décor and exquisite cuisine, the Banquet Room is yet another way Pars Cuisine caters to Albuquerque. Since 1984, our focus has been on offering fresh, great tasting food and exceeding our guests' expectations with healthy alternatives and a beautiful dining atmosphere. 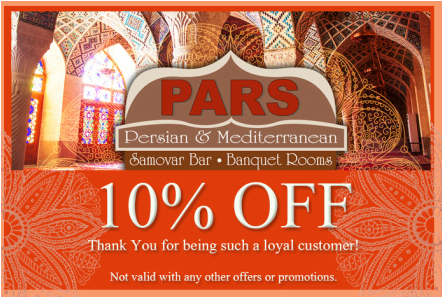 We would like to thank you for the opportunity to serve you in the past and look forward to your return visit to Pars Cuisine.